At JuvinTech we provide an integrated suite of managed services that can meet the mission critical requirements of your business. Whether you need to install a single workstation or upgrade your entire office of computers and servers, we are available to assist in getting the task done. Customers can select from our complete portfolio of solutions. Increase your productivity with instant support to your users. Knowing that you have effective managed 24x7 Help Desk support in place is essential to your business and brings about peace of mind. Disasters can truly result in the interruption of your business. More than 70% of businesses affected by a major disaster are either unable to reopen their business, or close within 18 months of the disaster. Don’t put your business at risk. See how JuvinTech can protect your data without compromise. 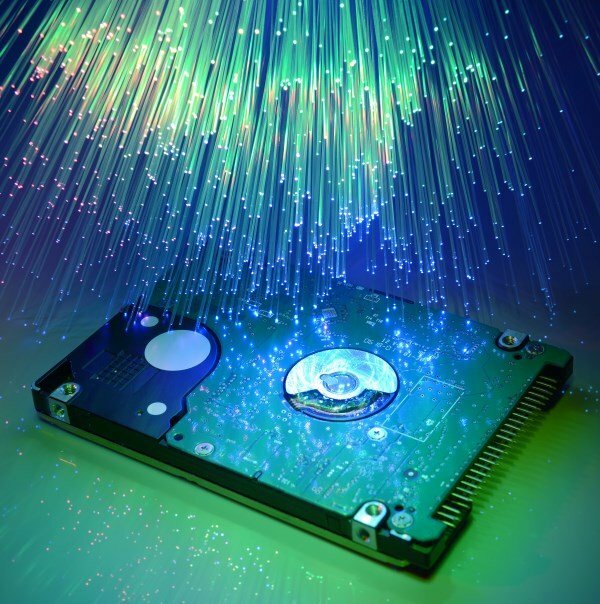 Approximately 94% of companies that suffer a catastrophic data loss do not survive. JuvinTech offer services such as Disaster Recovery, Business Continuity Planning, Technology Risk Assessment and Content Delivery. We condition emphasis on strategic evaluation of technology in your organization and implement efficient and effective methods that would benefit your organization thus resulting in cost effective and more beneficial technology methods. This strategic planning and implementation is most helpful in times of heavy growth and relocation. Pick one, some or all of our services in a combination that fits your needs and we’ll take care of the rest. Continue to maintain focus on your business and let us take care of your infrastructure and technology requirements. The most comprehensive managed solutions delivered to you. JuvinTech has developed a service plan ensuring rapid response times. Our certified technical support specialists ensure that you get the attention and resolution you need when contacting our world class support team for assistance. We are here for you 24X7 to ensure that you and your business receive the service level of support as if you had your own in house IT staff. Industry leading response times and SLAs. JuvinTech engineers will see your reported problem through to resolution and to your satisfaction. The best business tools often go unnoticed until your business is left inoperable. JuvinTech Network Operations Center (NOC) keeps a watchful eye on your valuable infrastructure. Early warning notifications expedite resolutions thus minimizing disruptions and risk to your investment. Monitoring for devices, data connections and environment. Procure replacement parts to hardware pursuant to manufacturers’ warranties on applicable devices. Voice and data service checks. When it comes to voice and data technology failure, prevention is far more cost effective than a cure. Constant fine tuning of software updates and patches are a fact of life. JuvinTech maintenance plans are designed to be robust which allows us to support your infrastructure more efficiently. Deploy critically needed patches on operating systems, hardware firmware and software. Test Internet circuits, temperature, humidity, UPS alerts and alert destinations. Backup firewall, router and switch configurations. Verify and update virus protection on servers and workstations. Assist third party application providers and vendors in deploying critical updates and patches. Unstructured and semi-structured data presents unique challenges to IT organizations when it comes to identifying who has access, who is accessing and most importantly, who should have access to shared Windows, NAS/SAN and UNIX folders, SharePoint sites, Exchange mailboxes and public folders. Information Security organizations have traditionally struggled with the overwhelming manual process of enforcing authentication, authorization, and accountability controls on these resources as well as identifying data owners that should be making these decisions. JuvinTech, a leader in data governance, presents new solutions through our partner programs for helping meet these challenges both today and into the future. JuvinTech realizes the importance and requirement of getting any technology project implemented and completed in a specific timeframe. Whether it’s building out a small network or implementing a robust network for an entire building, JuvinTech can get the job done. We have the people and tools necessary within our organization to accomplish any IT task. Our IT professionals work hard to provide timely delivery of outstanding service and work in a professional manner to minimize service interruption of any kind. Our motto is to do it right the first time around so we strive to ensure that our clients stay within their budget and get world class service on project implementations. JuvinTech knows that it’s not worth trading peace of mind for short term fixes. Strategic planning and thought goes into making the right thus resulting with the right solution. We do it right every time! From Hurricanes to terror threats, weather the storm with our Disaster Recovery solutions. The world is full of uncertainties. Whether you blame it on climate change or human behavior, bad things can happen and it gets worse if your services go down because of it. In an increasingly competitive world, strategic advantage can be won or lost at the blink of your network. The need to prevent the interruption of service to your customers in the event of a disaster is paramount to any Business. This is where our Disaster Recovery suite of services is tailored to your specific business objectives to keep you up and running through the worst of times. At JuvinTech, we provide a wide range of customizable services and configurations that range from simple remote data backups to complete active/active systems. Our Data Assurance Professionals are cross-platform trained to ensure the reliability of your backups – on and off premise. A comprehensive solution for transporting, storing, managing and retrieving your backup media from a secure, off-site facility operated by trained experts. A cloud-based data backup solution to administer and monitor your server backups simply and reliably, with point-and-click restoration via a web browser. Enables you to gather, restore, search, organize, and deliver email and other assets in response to litigation discovery, internal data management requests, and regulatory compliance inquiries, personally managed by a trained expert. Leverages our broad spectrum of technical experience and knowledge to offer practical advice in managing across your physical and digital records, share best practices, and lead improvement programs. Providing you resources to manage your backup media across its life cycles, such as Disaster Recovery Support Services, Library Moves, Media Destruction, Inventory Audits, and Media Sale. Our IT Professionals want to make sure your users have everything they needs to be productive while they are out of the office . IT has to ensure that information only resides where it’s supposed to and is only accessed by those with the right authority to do so. Mobile Device Management (MDM) and enablement to securely empower your users with a digital workspace. Simplify the management of apps and devices across your network utilizing our cloud platform or on premise MDM software. Provide users with access to corporate applications, data, and resources from virtually anywhere on almost any device, while helping to keep corporate information secure. Secure corporate data, including Exchange email, Business documents, based on the enrollment status of the device and the compliance policies set by the administrator.